This might not be the case for your avocado-toned kitchen or chintz sofa, but good design advice is timeless. Decades after pioneering interior designers Elsie de Wolfe, Dorothy Draper, and Billy Baldwin had their heyday, their dos and don'ts still ring true—no matter your style. Each of these greats had a unique idea of good taste, but all had careers that championed the revolutionary idea of individuality within the home. They all knew that thoughtful, personal choices are what stand the test of time and that any so-called design “rules” are meant to be broken. Which is why we're still taking their advice and you should, too. A vibrant yet edited vignette done by de Wolfe for heiress Dorothy di Frasso. 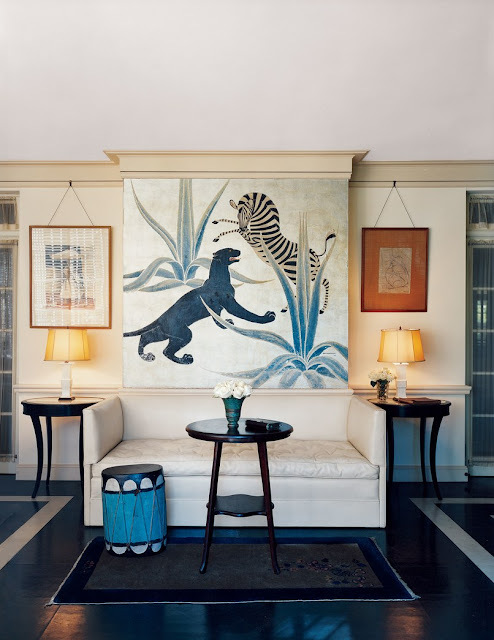 Elsie de Wolfe is considered by many America’s first interior decorator, by others simply the most famous of her time (the early 20th century)—either way, she really did start it all. "Suitability" was her way of championing practicality. And the "simplicity" she put forth differentiated her work from the dark, heavy Victorian interiors so prevalent at the time (though make no mistake: Simple did not mean boring). And last but not least, "proportion": de Wolfe was emphatic that furniture be appropriately scaled to its room to avoid the “proverbial bull in the china shop” effect. Revolutionary at the time, but still very much applicable today. 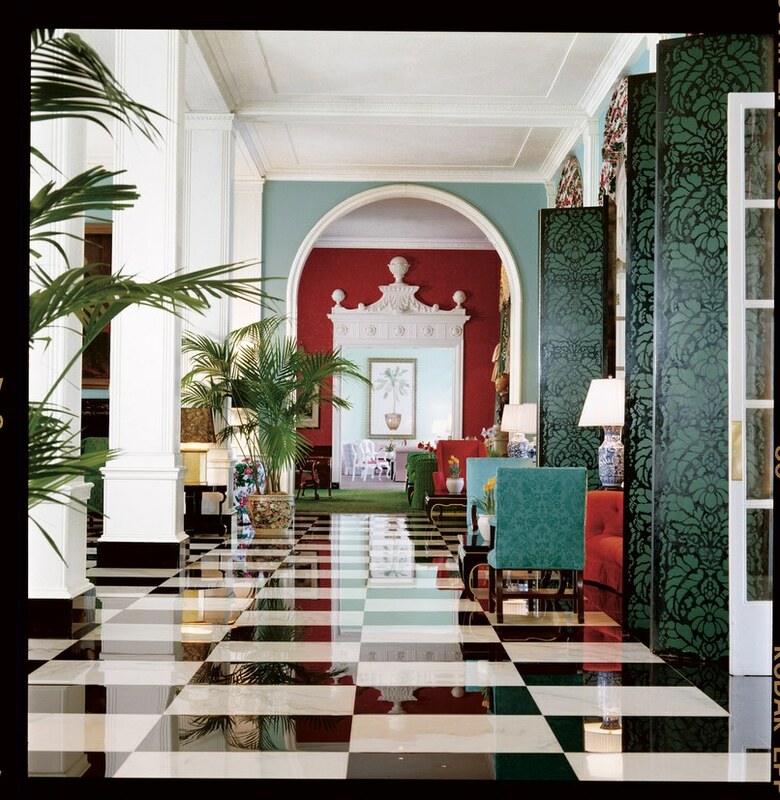 The iconic Greenbrier hotel in West Virginia exemplifies Draper’s signature style. Here, palm leaf wallpaper mirrors aqua and white striped walls. Another of the earliest female decorators, Dorothy Draper had an exuberant, over-the-top aesthetic that certainly didn’t come from copying anyone else. In her monthly advice column for Good Housekeeping, she emphasized thinking for oneself as well as sticking to an overall concept from the beginning. Baldwin's signature slipper chair and sofa were low and wall-hugging, which helped this room (dubbed the Tall Room) in Woodson Taulbee's Manhattan apartment feel uncluttered—and yet comfortable. 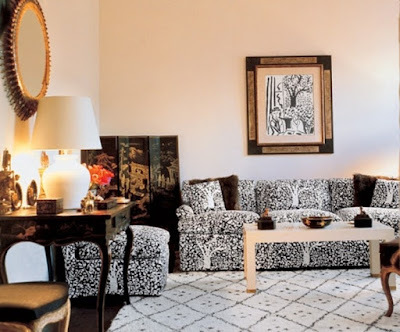 Billy Baldwin—dubbed "the dean of indigenous decorators" by AD in 2000—knew that a beautiful room is worthless if it is not comfortable and functional. A man whose dapper style helped define American taste, Baldwin believed rooms should be lived in and enjoyed by both the members of the house and those who came to visit.